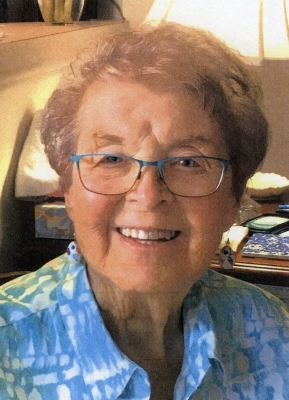 Mary Lee Matheson Shanahan died peacefully with her family and friends at her side at Hospice House of Pinehurst on April 9, 2019. She was 87 years old and except for this brief illness she had lived in Southern Pines at Penick Village. Mary Lee was born on October 2, 1931 on Long Island, NY to Viola and Martin Matheson. She graduated from The Buckley County Day School in Great Neck, The Cathedral School of St. Mary in Garden City, Pine Manor Jr. College in Wellesley, MA, Connecticut College in New London, CT and the New York School of Interior Design in NYC. An only child, Mrs. Shanahan is preceded in death by her parents, her husbands: Robert D. Larsen, Frank E. Holmes, Captain Thomas L. Shanahan and her son Christopher D. Larsen. She is survived by her daughter Brooke Larsen of Penick Village, Southern Pines, NC. Mrs. Shanahan taught kindergarten before her marriage. Afterwards, she enjoyed careers as a Doncaster Representative, an Interior Decorator known as A Better Arrangement (ABA), later adding an antique shop to ABA called Open Occasionally. A dedicated volunteer, she was active in Planned Parenthood, her children’s schools, her churches, NODA (No One Dies Alone), the DAR (Daughters of the American Revolution) in NY, of which she was still a member and the Junior League which gave her friendships she cherished. A Memorial Service at Emmanuel Episcopal Church in Southern Pines, NC is planned for April 16, 2019 at 1:00 pm with the burial of her ashes in the church garden near her son and friends. There will be a reception immediately following in the church parish hall. In lieu of flowers, donations may be made to Emmanuel Episcopal Church or the Penick Foundation. To send flowers or a remembrance gift to the family of Mary Lee Shanahan, please visit our Tribute Store. "Email Address" would like to share the life celebration of Mary Lee Shanahan. Click on the "link" to go to share a favorite memory or leave a condolence message for the family.